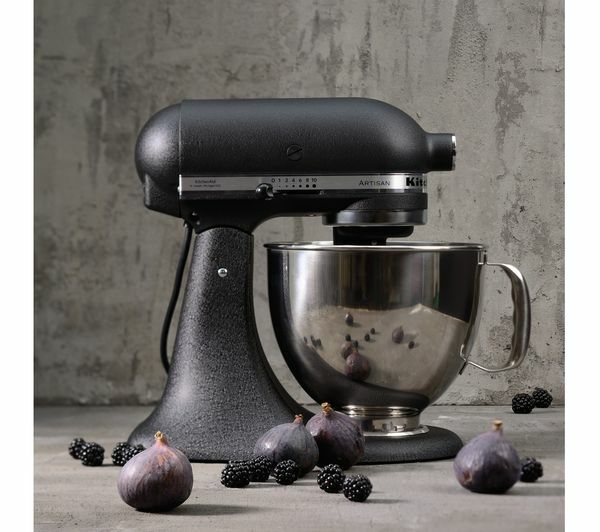 Built with a full-metal construction, the durable and timelessly designed KitchenAid Artisan 5KSM175PSBBK Stand Mixer gives you the power and control to achieve professional results in your kitchen. 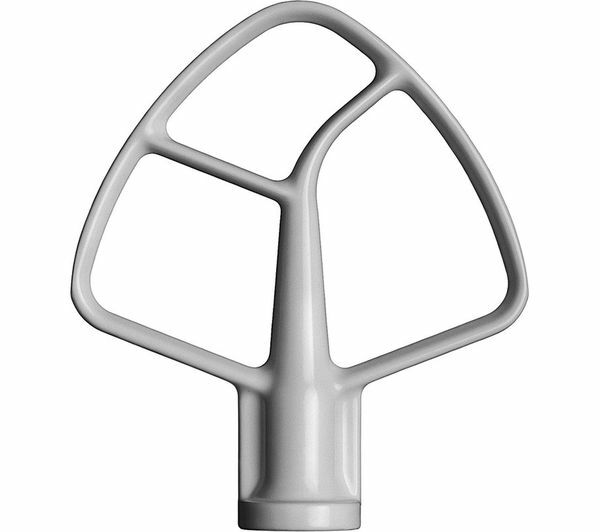 With a five year guarantee, you get long-lasting reliability and excellent performance. 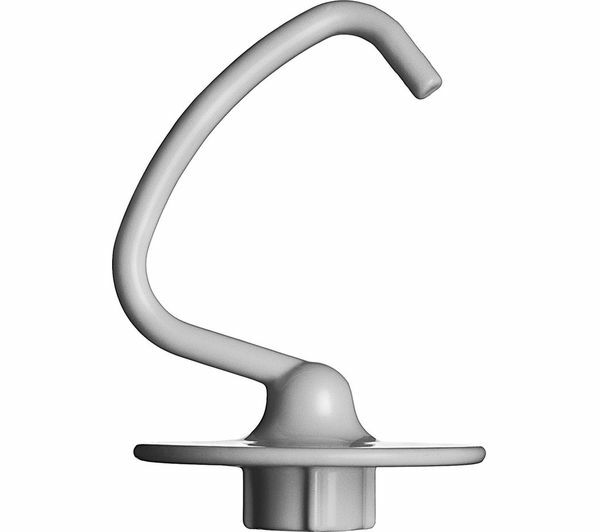 The smooth, rounded tilt-head design combines elegance with practicality. 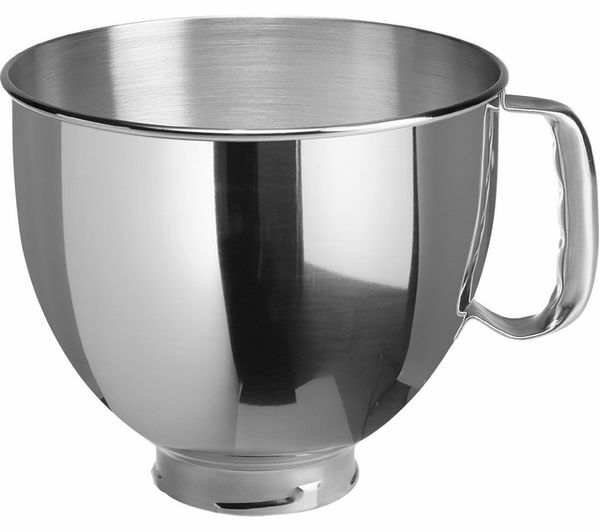 Simply lift it up and out of the way when you need to move the bowl or change attachment and click it back into place after. 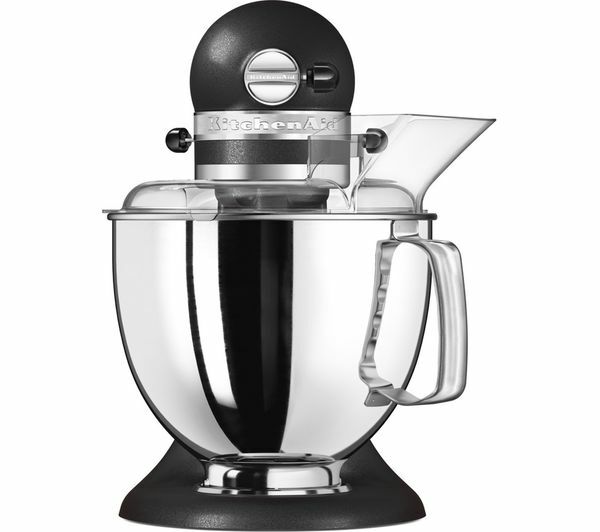 This simple design makes the mixer easy to clean. 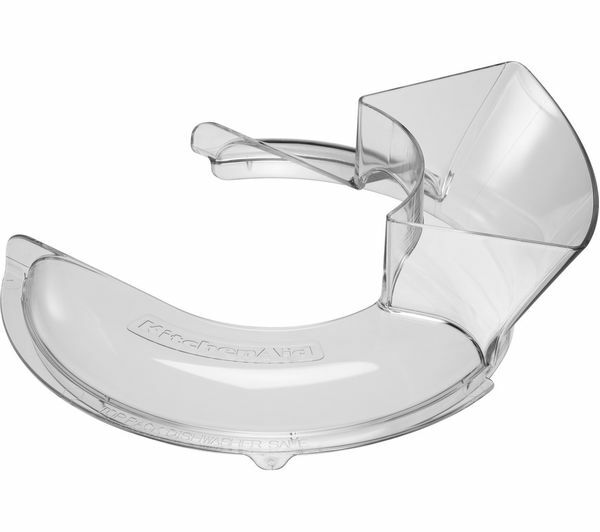 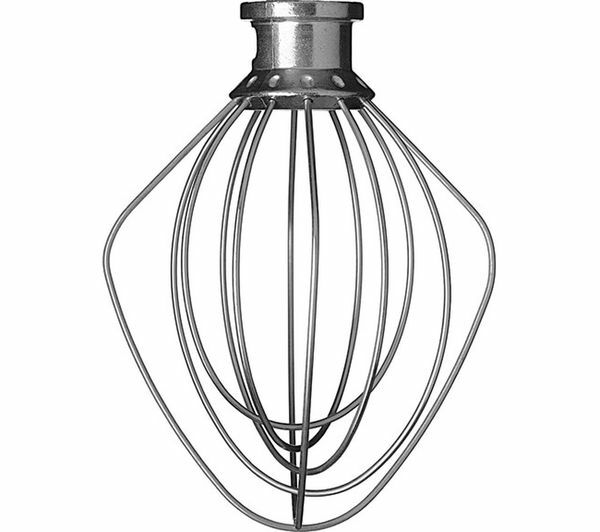 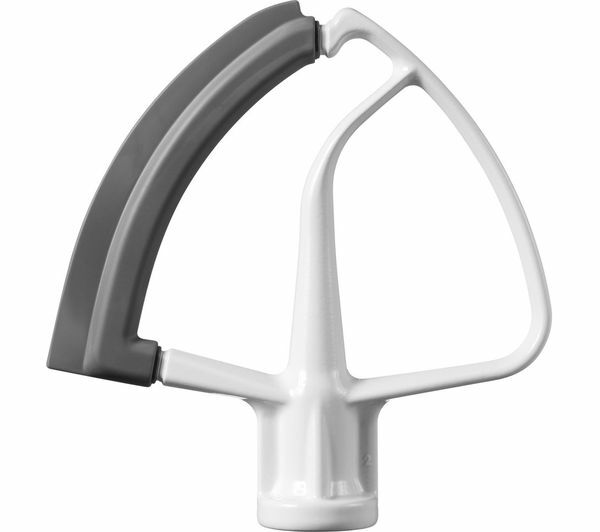 With a dough hook, whisk and beaters included, you can easily choose the attachment you need for every recipe. 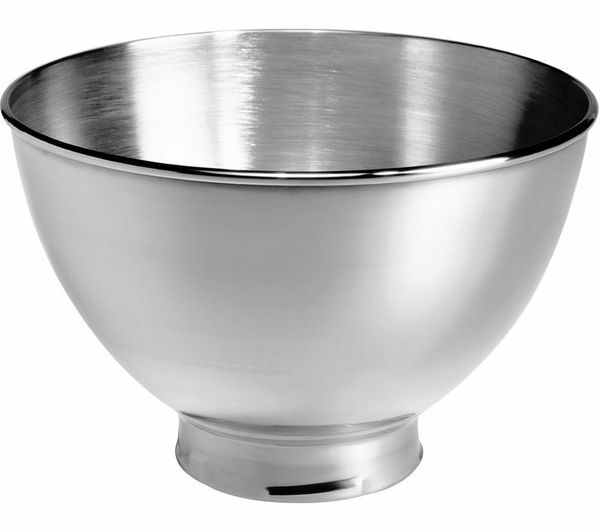 The two included stainless steel bowls are just as suitable for mixing small quantities as it is for large-scale home cooking projects. 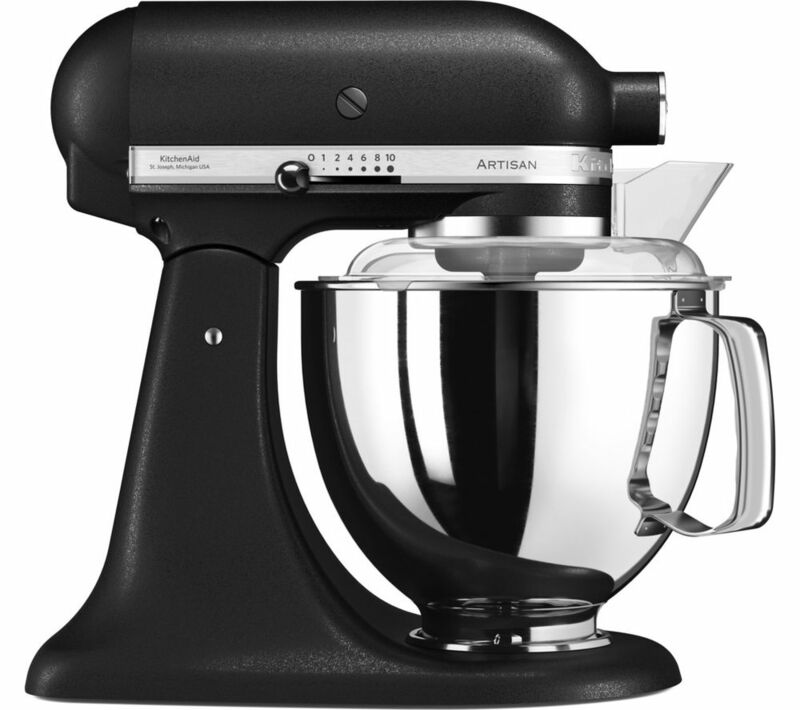 They're easy to clean, too – so you can be ready to make your next recipe in no time. 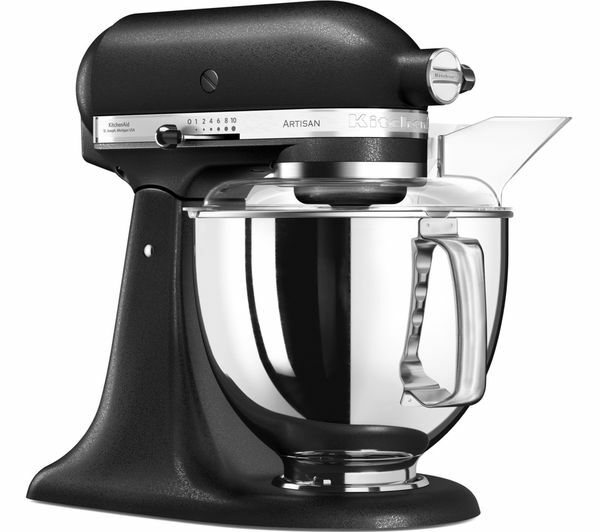 Amazing looking machine, easy to use and very quiet.